This page will be edited as the blog grows. *And I like using a smiley face :) You will see it a lot in my posts, haha. 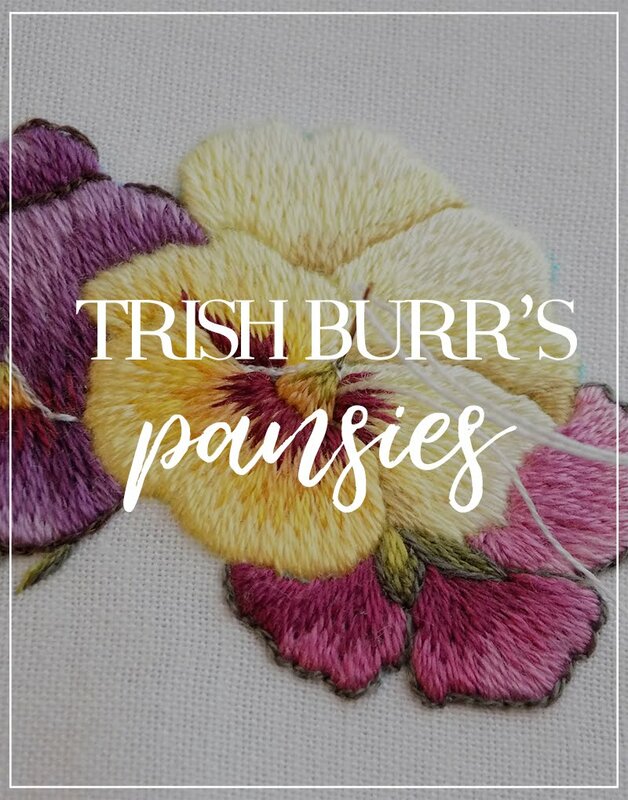 StitchFloral is a blog dedicated to hand embroidery where you can find tips, tutorials, “how-to” revelations and follow me in my stitching adventures! 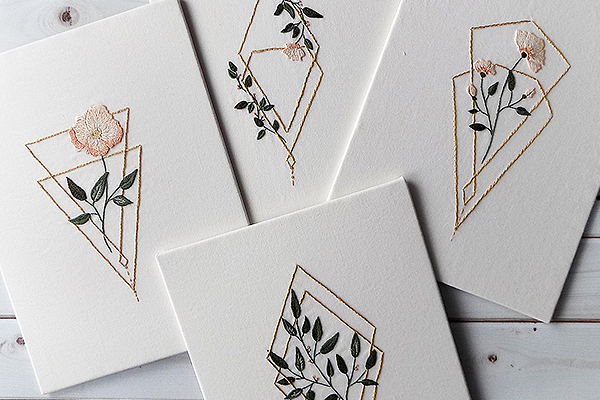 So many people are making their first steps in embroidery, and it makes me thrilled to see how this art is regaining its popularity among crafters. I know that the lack of experience may intimidate beginning stitchers, though. That's why my goal is to share all the tips and tricks I know that can make it easier for you to fall into the stitching groove, and also provide enough tutorials with step by step pictures so that you have enough visual support for your learning. Frankly speaking, I don't have many years of experience and I wasn't brought up in a family of embroidery artists either. I likewise don't have any teacher by my side who could tell me about all the “insiders' tips”. But I'm hungry for knowledge and trying things out. I'm still learning and there are so many things about hand embroidery on my checklist, that I want to study. So join me on this journey! 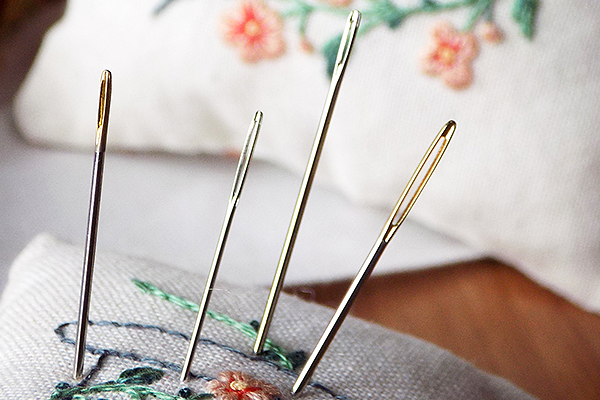 Let's learn the secrets of hand embroidery together! I also have an Etsy shop with designs that I drew and worked through myself. I prefer making sets or “collections” of designs. Because my specialty is fine embroidery (1-2 strands of floss mostly) and after finishing one design you have most of the thread left, which is enough to work a couple more with the same palette. Besides, isn't it nice to decorate your home with a set of pretty needleworks in matching style? 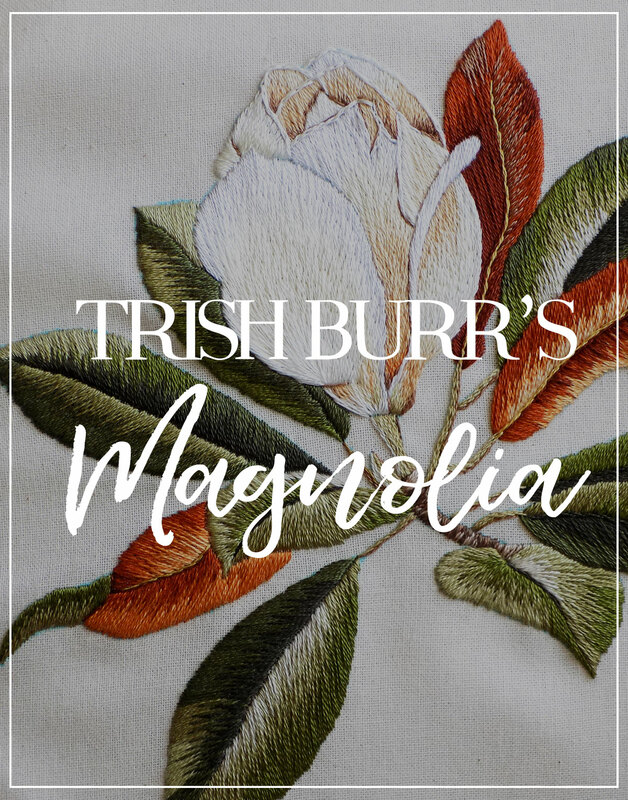 You can read about: Amelia designs, Serenity collection, Aqua Botanicals (and Aqua Botanicals behind-the-scenes), Vignette hand embroidered ornaments and check the Shop News tag for posts on this topic. 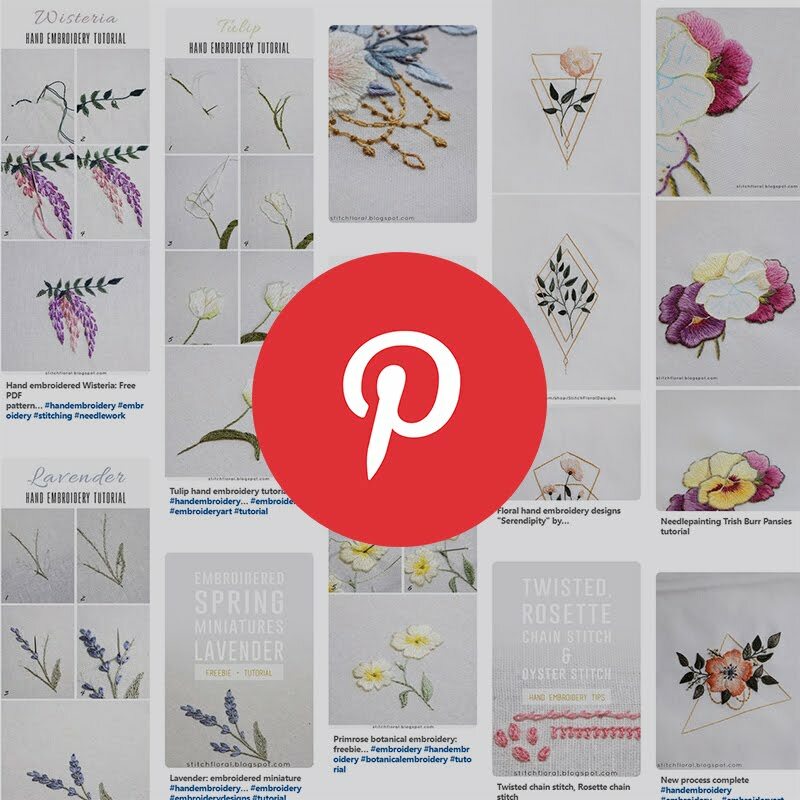 Here I will list the most important, in my mind, posts on Stitch Floral, divided into topics. 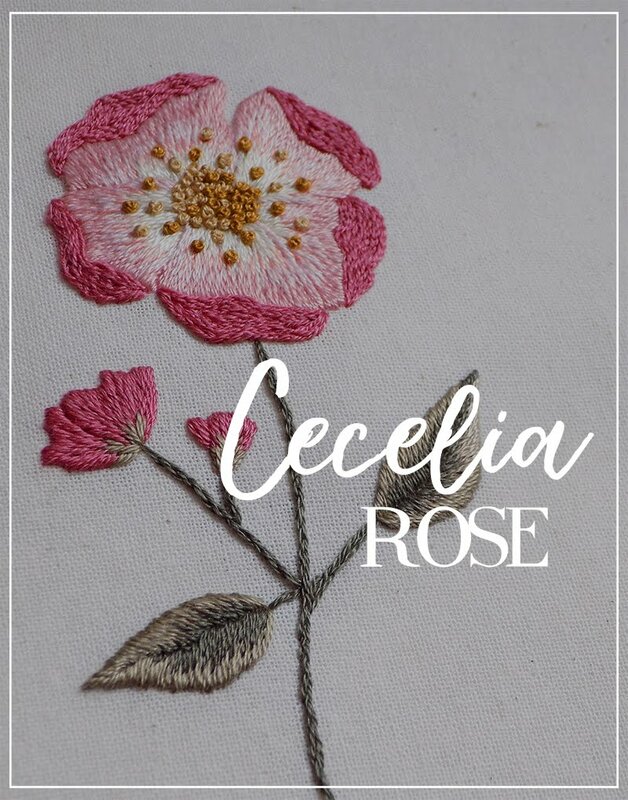 There are some more that you can also find useful, so I recommend going through the Guide to Embroidery tag to not miss anything. There is also tips&tricks tag where I share some tips that not obvious for beginners. 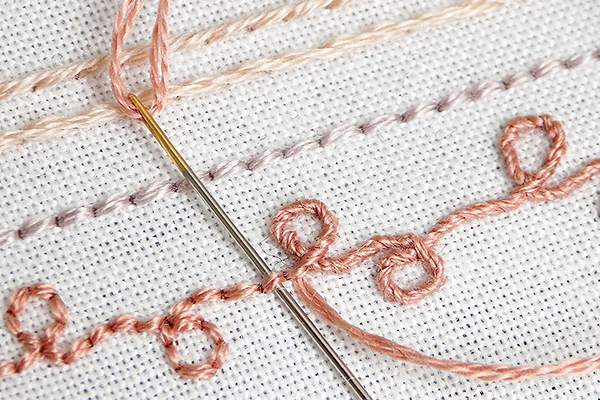 The library contains all the stitch lessons I've done so far here on Stitch Floral. It is my own classification of stitches that I aspire to complete little by little. You can notice that sometimes the lessons are combined. That's because I'm an advocate of effective learning, therefore if the stitches are similar I tend to couple them together so that you can learn and practice them both in one session. Effective learning and time management, yay! I've gotten a lot of positive feedback for my series of floral miniatures, so you might want to check and try them out as a starting project. They all have tutorials with step by step pictures and PDF patterns. Begin with Mimosa and then work the rest five florals. Next thing, check the Freebies tag for more free patterns. If you have a lot of spare time on you and decide to binge-read my blog, it will probably be more convenient to go through the Month round-up tag. It's where I sum up all the posts from the previous month so you can get all the links there. Also, at the bottom of the sidebar, there is an Archive gadget which also has all the posts listed by months.